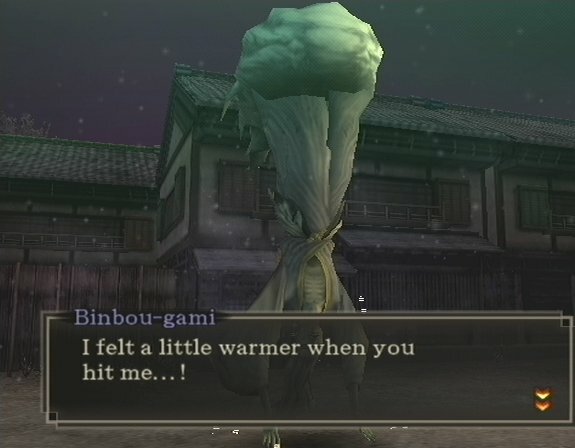 Binbou-gami is a boss demon in Devil Summoner 2. He is the god of poverty and the first Fiend in the game. 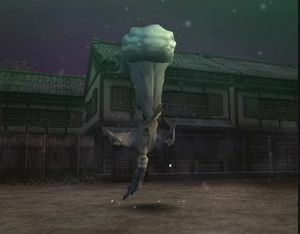 The player fights him in Mannen-Cho, right before the final confrontation with Tatsumi. His dialogue when he first appears and his dialogue during his fight with Raidou have been read as evidence that he is an implicitly gay and masochistic character. The specific lines can be seen in this video, or the images below. 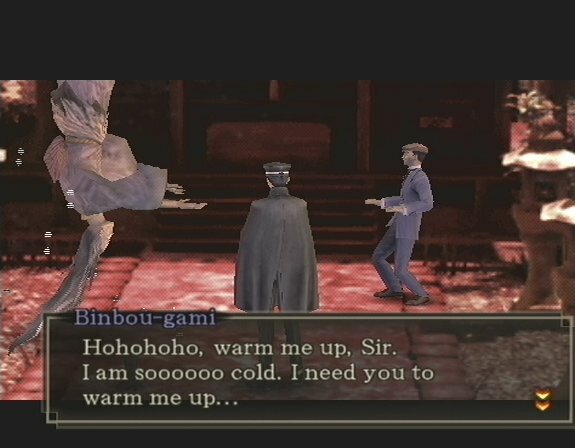 Binbou-gami asking to be warmed up by Tatsumi. “A day… To remember! It was delightful being punished… Wiith your love. Hohohohohohohoh. I shall never forget the delicate taste of your love-punishment! I shall neeeeeeeeeeever forget! This entry was posted in 2000s, Characters, Gay, Gay (implicit), Queer Men on December 10, 2015 by Adrienne Shaw.